Margaret Dabbs – leaders in hand & foot care service and product sector. Margaret Dabbs London is a luxury and exclusive world valuable brand, which has already arrived in Lithuania, exceptionally just to SPA VILNIUS centres! SPA VILNIUS is the only one representative in the Baltic countries. 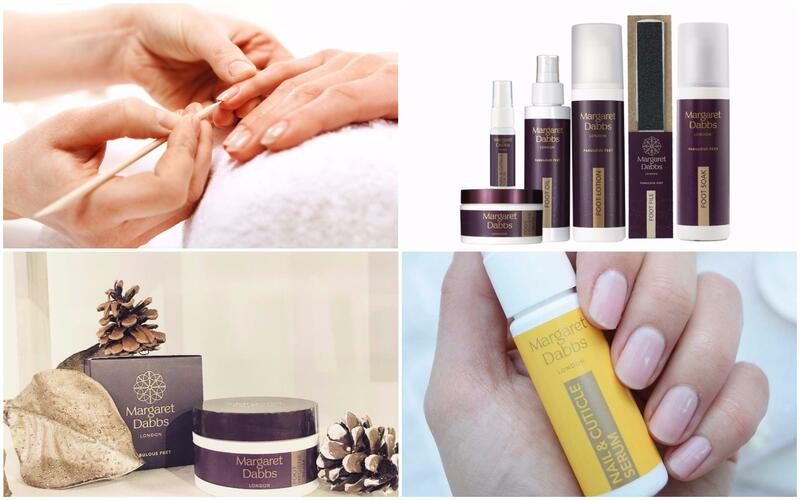 Margaret Dabbs products are the expert- led beauty regime for hands and feet. They are sold at some of the most premium and respected retailers globally and the specialist treatments are performed at leading hotels and spas worldwide. This innovative, unique fusion of beauty and health for the hands and feet bridges a gap in the market, celebrating beauty, luxury and the effectiveness that comes from years of hand and foot expertise. The range of products guarantees luxury and effective results, created by a professional Margaret Dabbs team. Margaret Dabbs – the founder of the brand, well known podiatrist and expert, opened her first foot clinic in London, in 1998. After a while there was a need to create the whole Margaret Dabbs brand accompanied by foot clinics and nail SPA in the United Kingdom and United Arab Emirates. One of the main and most exclusive ingredients used in Margaret Dabbs products, is Emu (ostrich) oil. It is a pure and natural product, which has been used by Australian aborigines for centuries and has been valued because of its therapeutic characteristics. It softens, moisturises the skin and helps to boost regeneration. Emu oil has an anti – aging, moisturizing and therapeutic effect, lemon myrtle guarantees a perfect fragrance. These products create long lasting results and promise silky smooth hand and foot skin. You have a great possibility to enjoy an exclusive and luxury Margaret Dabbs manicure and pedicure in SPA Vilnius in Druskininkai, Anykščiai and Vilnius. To satisfy your needs and wishes, you can choose from a range of treatments: from express manicure to a luxury SPA pedicure ritual. Margaret Dabbs – is an award winning company, offering service and products for Your hands and feet. Enjoy the perfection and luxury!